This one goes back a couple of years. In between some of his labor-intensive, highly detailed and working featured models, Bill Geary some times builds just for fun. This JoHan Chrysler Turbine car is one of those fun builds. 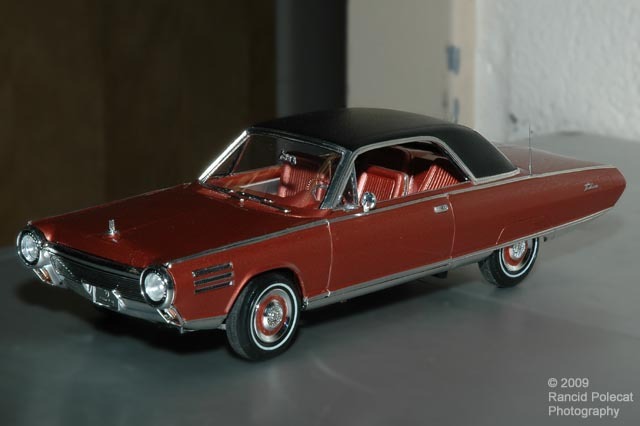 Though Chrysler ran their Turbine Car program from 1954 to 1980, the 1963 Ghia-bodied hardtop version designed by Elwood Engel is the defining image of a turbine car for most of us. Engel who was involved in designing Ford's Thunderbird had recently moved to Chrysler where he replace Virgil Exner as Head of Styling.